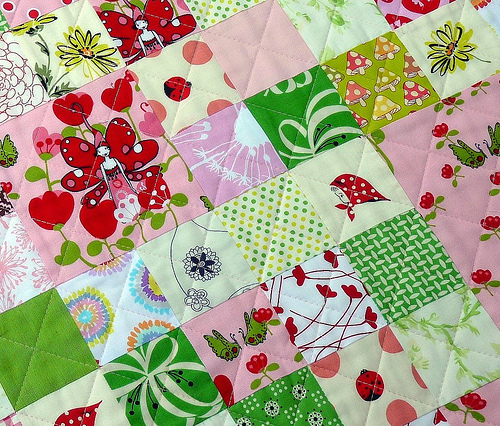 Thank you for all your kind comments and emails regarding my last post RPQ101 - Patchwork Piecing. I was really pleased to hear that you do appreciate this kind "informative" posting. Perhaps a series of RPQ101 may develop, although right now I don't feel like there is much more I have to offer. Today just a picture post. 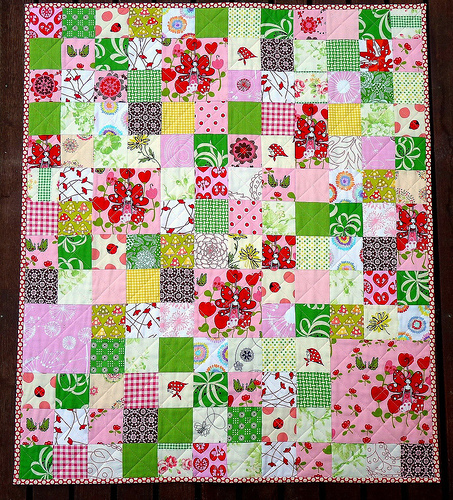 The layout for the back is similar to this quilt by Jacquie from Tall Grass Prairie. And with binding - machine stitched of course! Lovely quilt ! And thank you for all the great tips on quilting, I started my first quilt feeling confident. Thanks. Qué bonito, me encantan las hadas!!!! Y qué original la trasera!!! I love the pink and green colour scheme. Delicious! 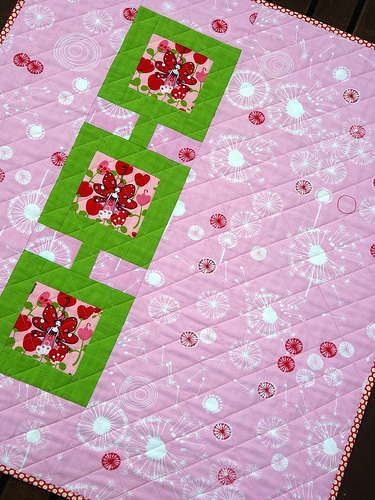 A very pretty quilt with a great back and perfect fabric for the binding. Nicely done! Very pretty! I really like how you made your pieced back. Just beautiful! I love the quilting too! I just got my package of Saffron's fairy hearts fabric with Kate Conklin's pattern in the mail yesterday. I'm such a happy person today. This is a GOOD quilt! another keeper ... you turn them out so beautifully finished. I love the binding especially. A beautiful quilt and I love the pieced backing and the fabulous binding. Love this! I am in awe of your binding! Love it - great fabrics, fantastic quilting and a fabulous back! What a sweet quilt!! I love the colors. I have pieced several of my quilt backs. It helps use up fabric and makes them more interesting. Love & blessings from NC! Your quilts are very pretty and I really like your blog. It's beautiful! I love the back! I'm always so impressed that you keep the backs so straight with the fronts! It's gorgeous! I love the colors in this one. Love it! It's very sweet. I just pulled some of the Kei from my stash for a project and am scared to cut into it. 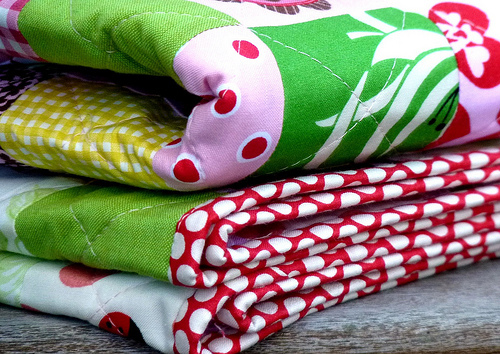 such lovely colors in this quilt and you know i LOVE the atomic back...my favorite shape! OMG I love the back! You are brave to use Saffron Craig in such a large amount! Expensive!